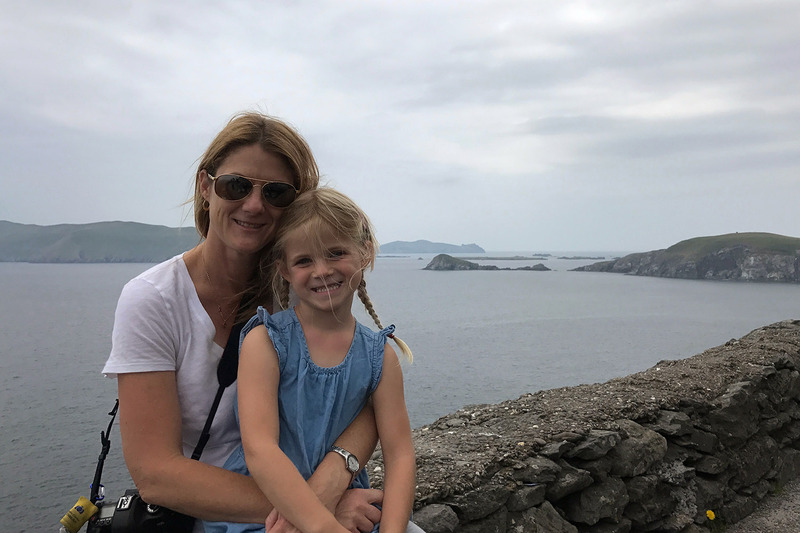 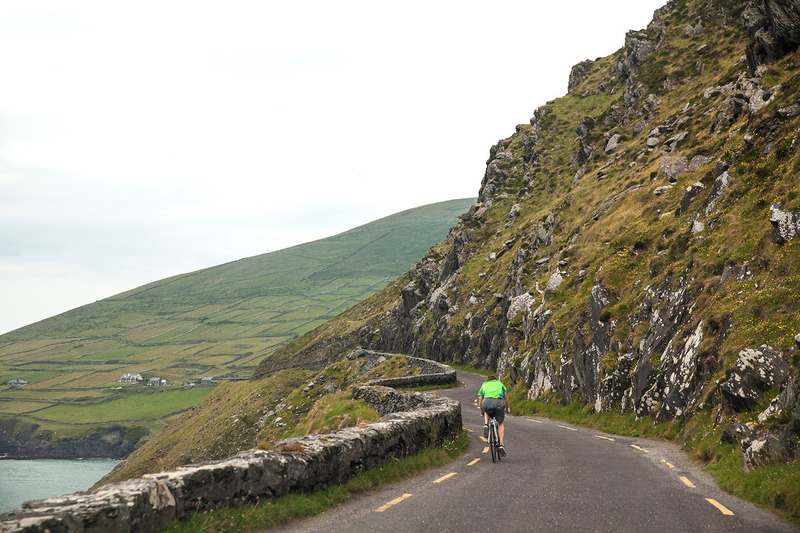 Ring of Kerry vs Dingle Peninsula? 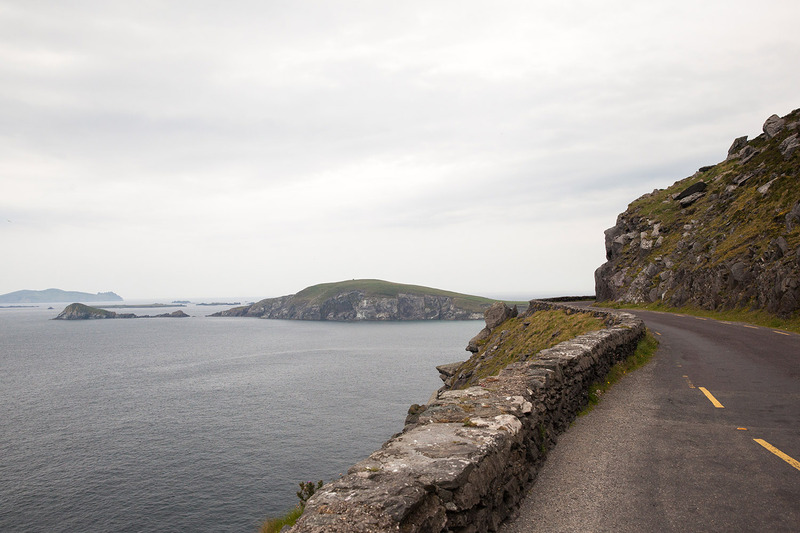 The Ring of Kerry and the Dingle Peninsula are the two most famous driving routes for tourists in southwest Ireland. 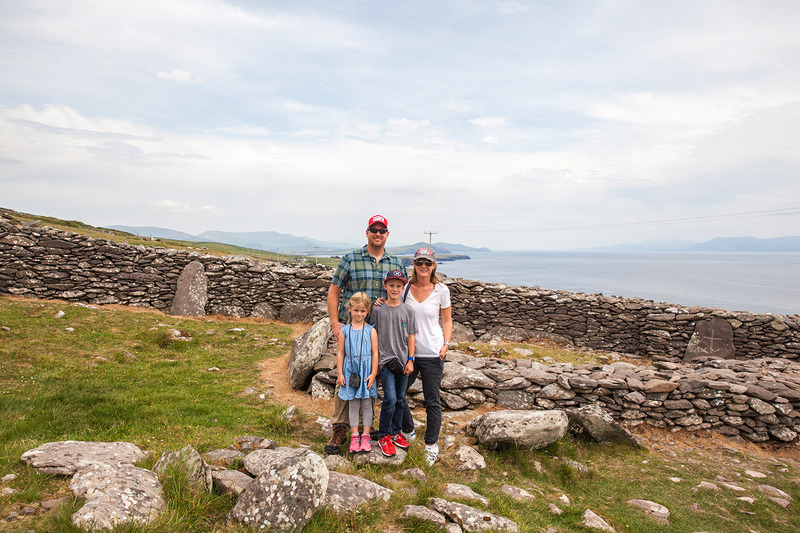 They both offer spectacular coastal views, jagged mountains, cozy villages, sparkling lakes, lush green sheep fields and the famous Irish hospitality. 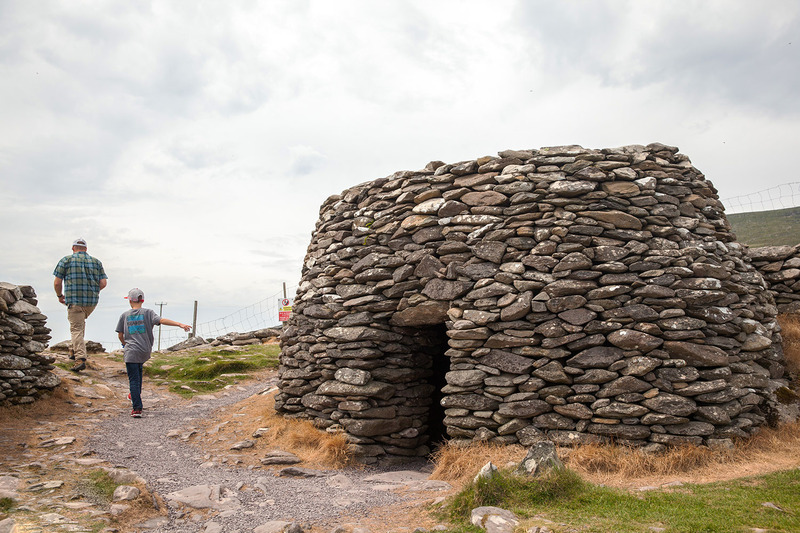 There’s truly few landscapes in western Europe with the density and variety of archaeological monuments as the Dingle Peninsula. 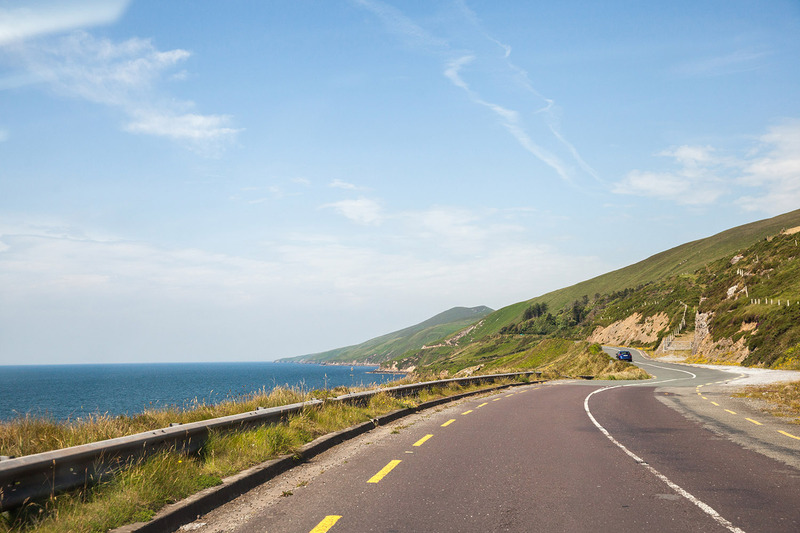 The Dingle Peninsula loop drive also has far less tour buses ((we only encountered a few while eating lunch in Dingle) than the Ring of Kerry loop and takes a fraction of the time. 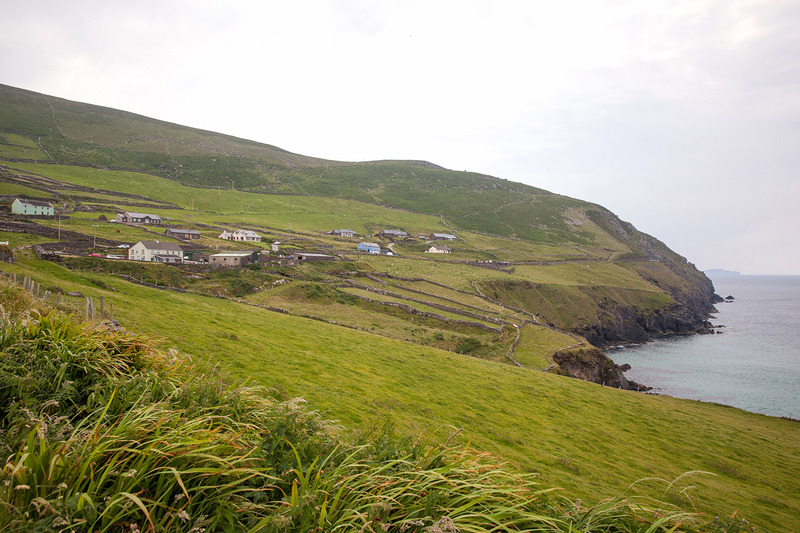 This mountainous finger of land which juts into the Atlantic Ocean has supported various tribes and populations for almost 6,000 years! 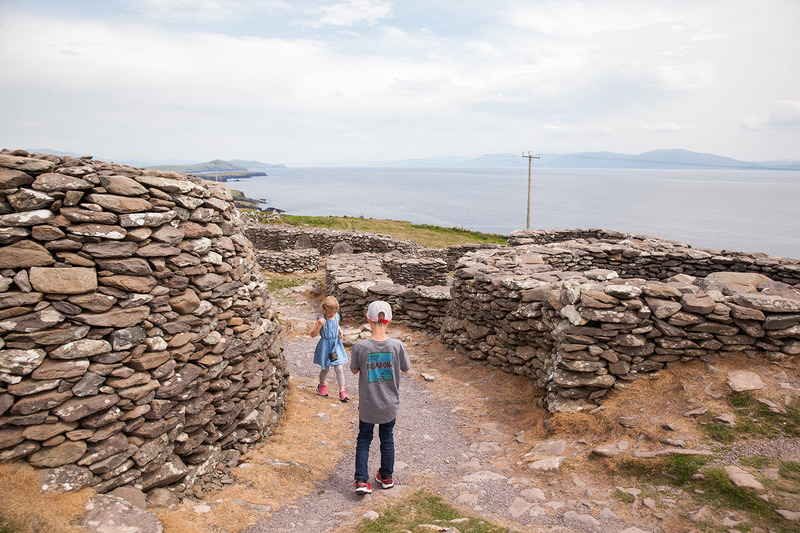 Because of the peninsula’s remote location, and lack of specialized agriculture, there is a remarkable preservation of over 2,000 monuments. 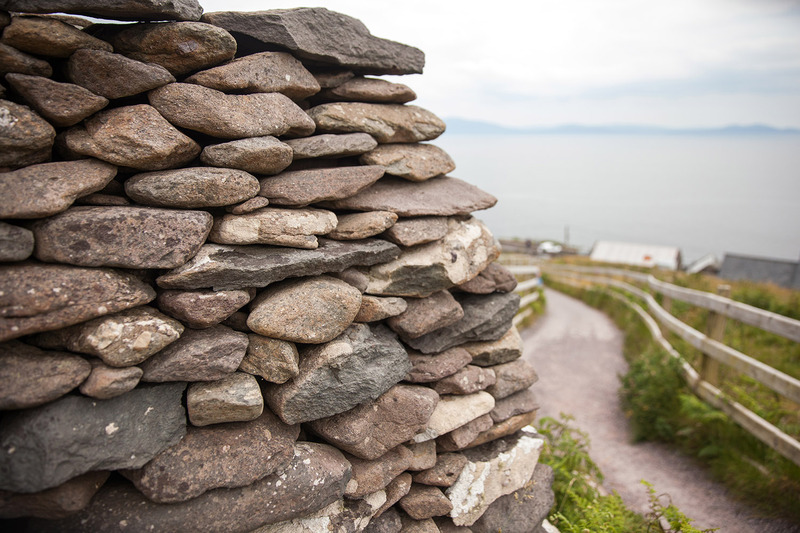 It is impossible to visit the Dingle Peninsula and not be impressed by its archaeological heritage. 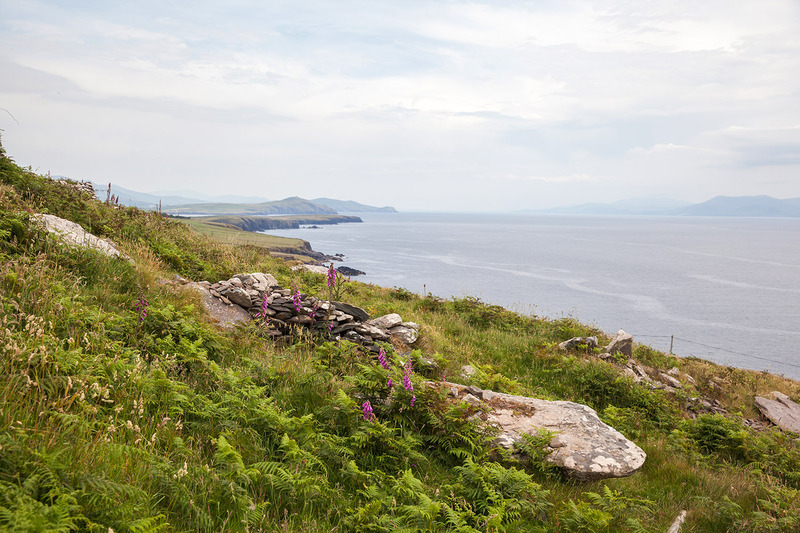 When one combines each site’s folklore and mythology, which have been passed orally from generation to generation through the Irish language, one can begin to understand how unique and complex is the history of this peninsula. 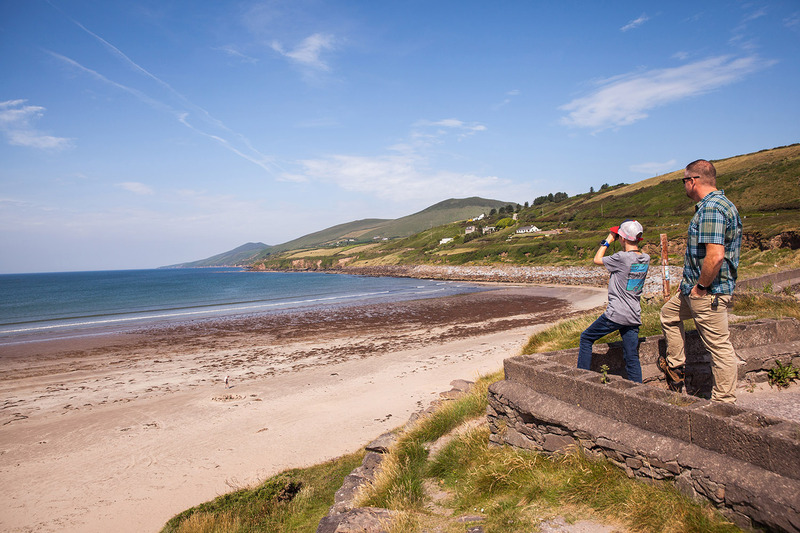 Inch beach is a long sand spit jutting into the sea between the outer Dingle Bay and inner Castlemaine Harbor overlooking magnificent Iveragh and Dingle Peninsulas. 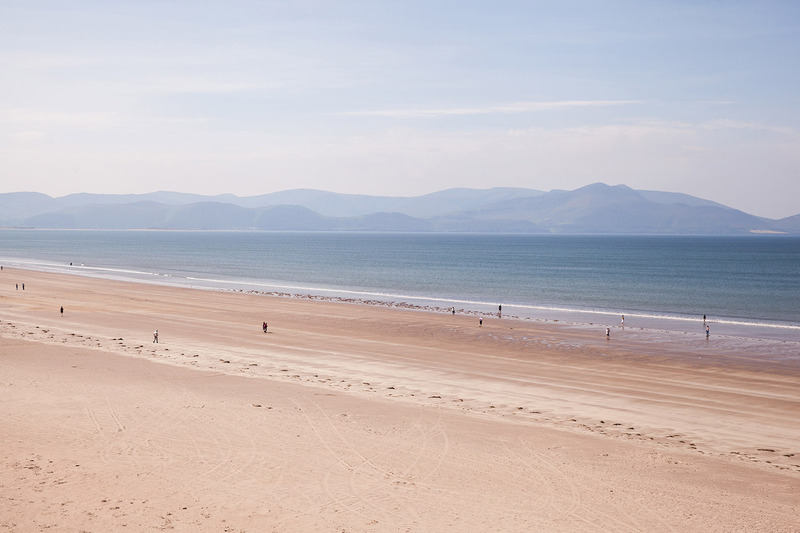 This beach was the perfect spot to gaze at the deserted beach and enjoy the sound of the ocean and crying gulls. 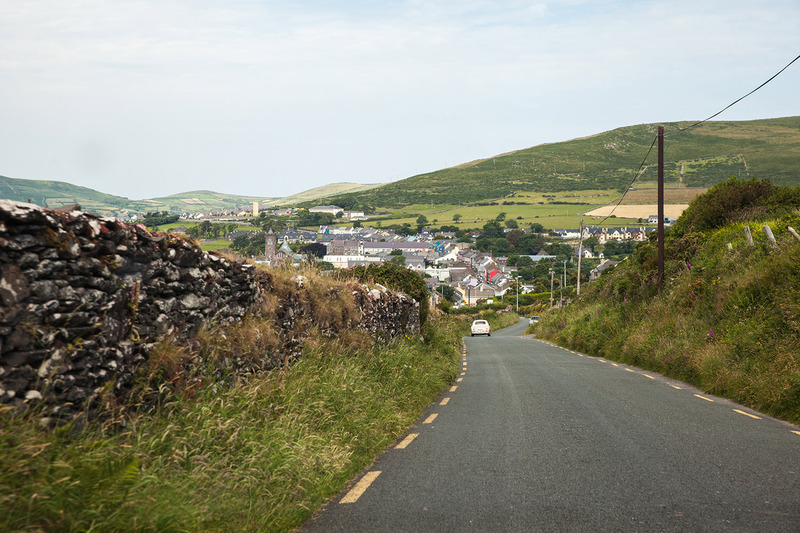 Descending from the incredible Conor Pass, Ireland’s highest mountain pass, was the bustling cosmopolitan town of Dingle, the peninsula’s main hub. 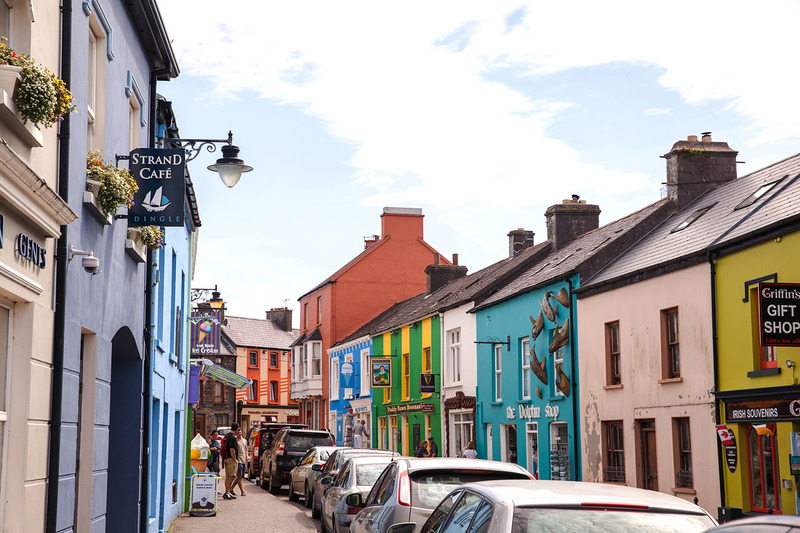 This colorful fishing town, set around a busy fishing port and marina, was packed with eclectic eateries, shops and traditional pubs. 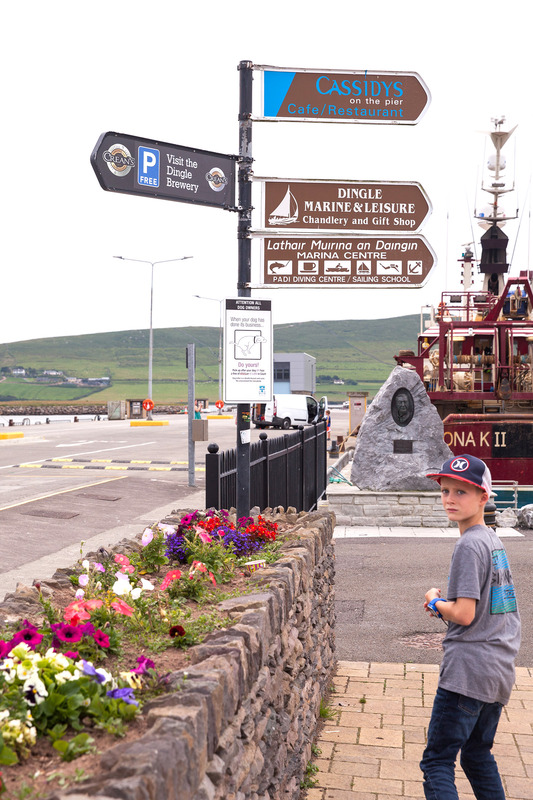 About 1,200 people live in Dingle, but it serves the larger population of the surrounding countryside, and in the summer months it caters to many visitors. 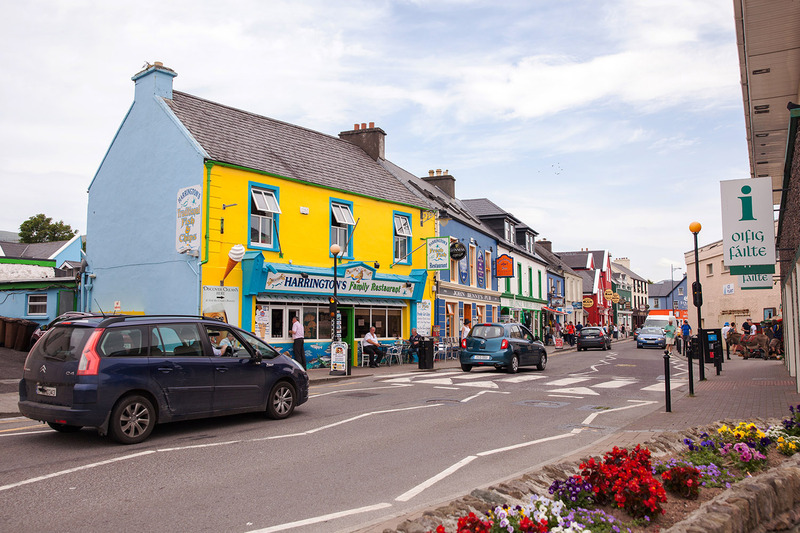 A family-run pub since 1971, Quinn’s Bar at the Ventry Inn lies at the heart of Ventry village, overlooking the beach and harbor. 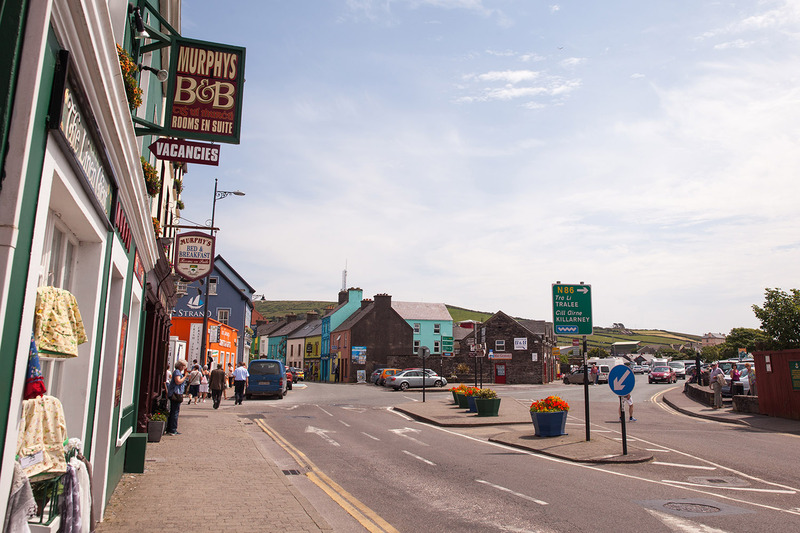 Bar food is served all day and the bar has regular music sessions. 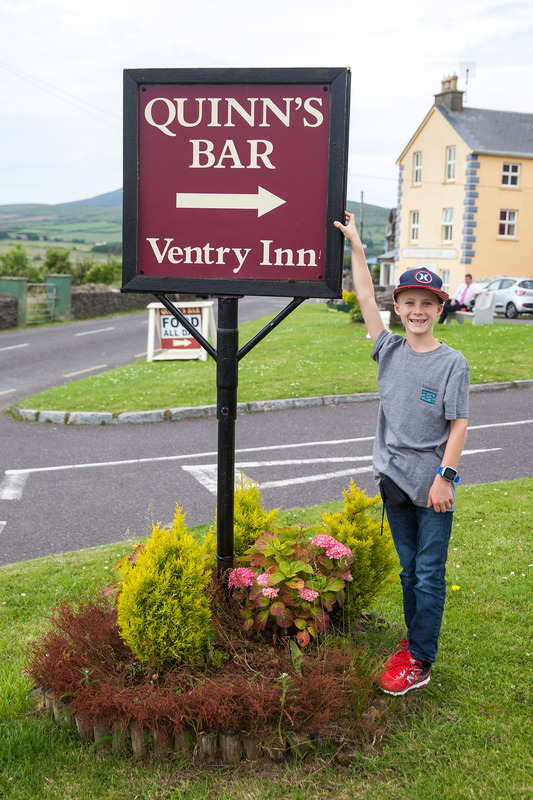 Our son, Quinn, got a kick out of this bar! 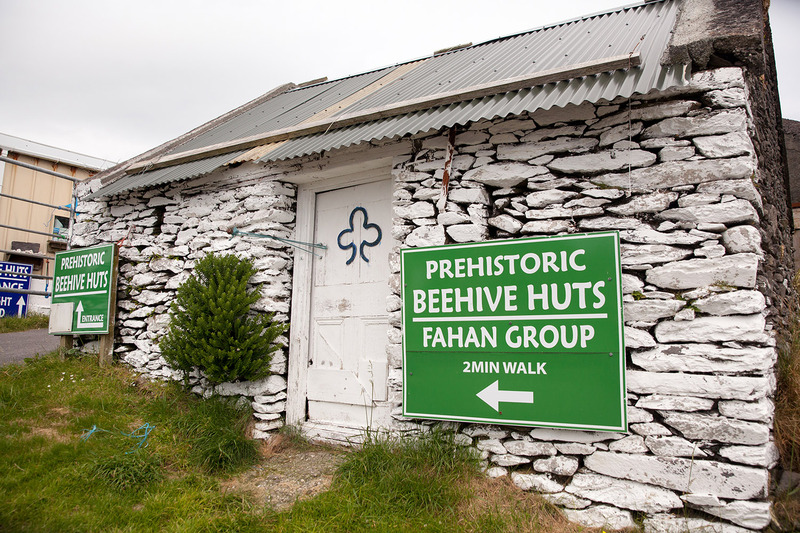 The Fahan Beehive Huts, also known as Caher Conor, are located on the south side of Mount Eagle, to the west of Dingle Town. 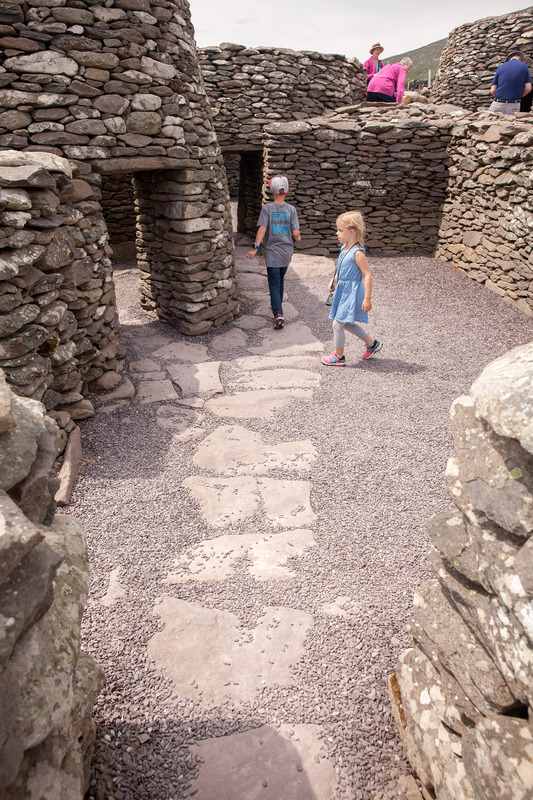 The Caher Conor complex consists of five structures and the huts (or clochan in Irish) were probably once single family dwellings, attached to each other with via inter-connecting doorways—linking the huts together. 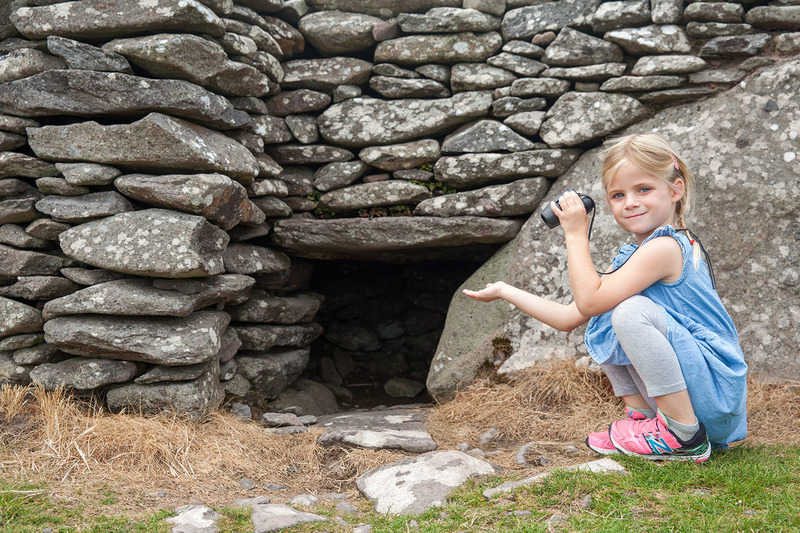 The hillside at one time had over 400 of these drystone huts, dating from AD 500s, although the exact dates are still unknown. 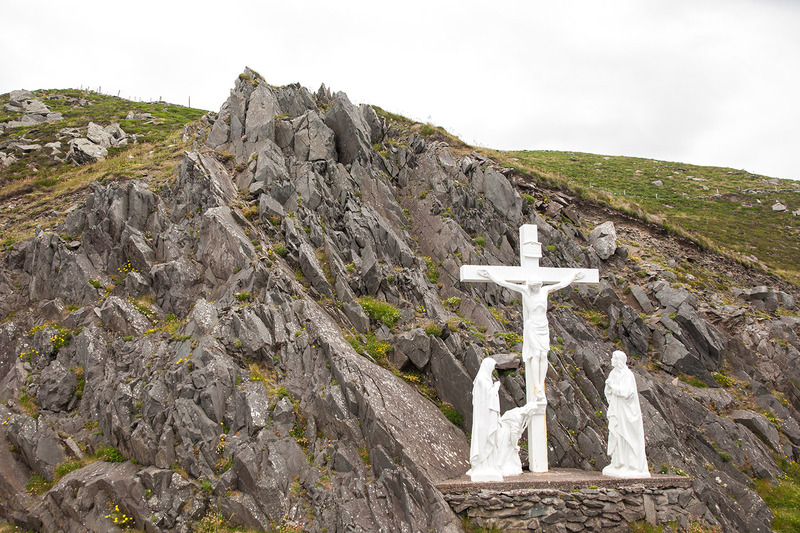 Marked by a cross, like many high or exposed sites, Slea Head commands an awe-inspiring view over steep slopes. 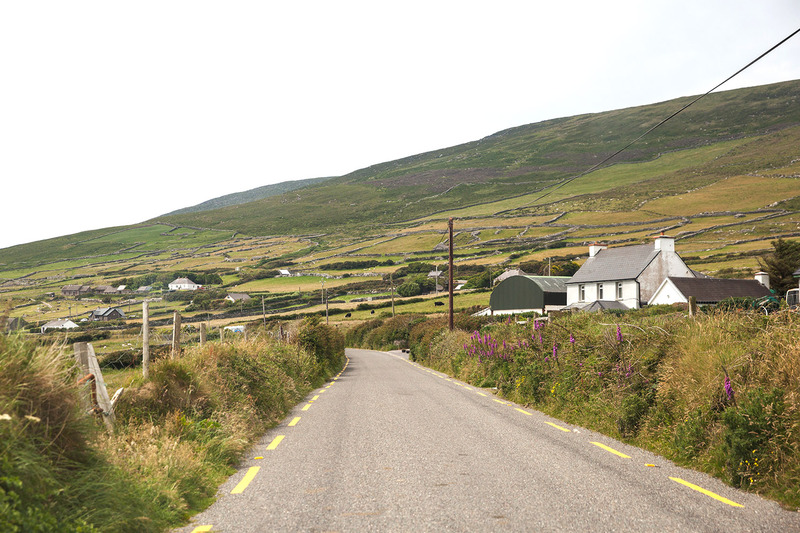 On a clear day, Valentia Island can easily be seen. 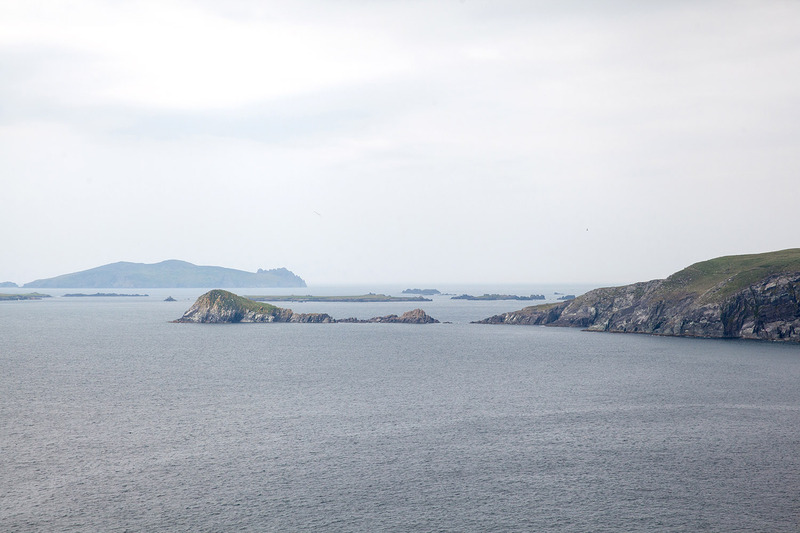 The outline of Blasket islands was visible to the west, while to the north, you will be able to admire the graceful curve of the beach of Coumeenole. 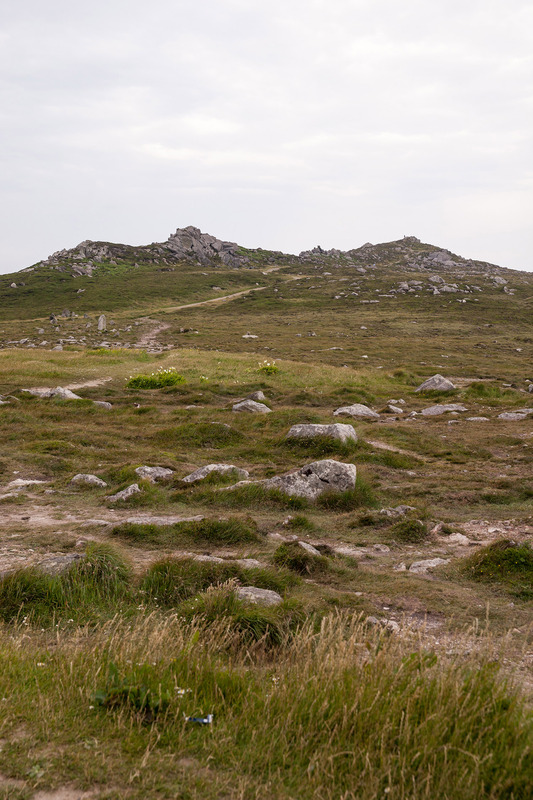 Small stone huts are scattered over the slopes, some of which are covered in earth and grass. 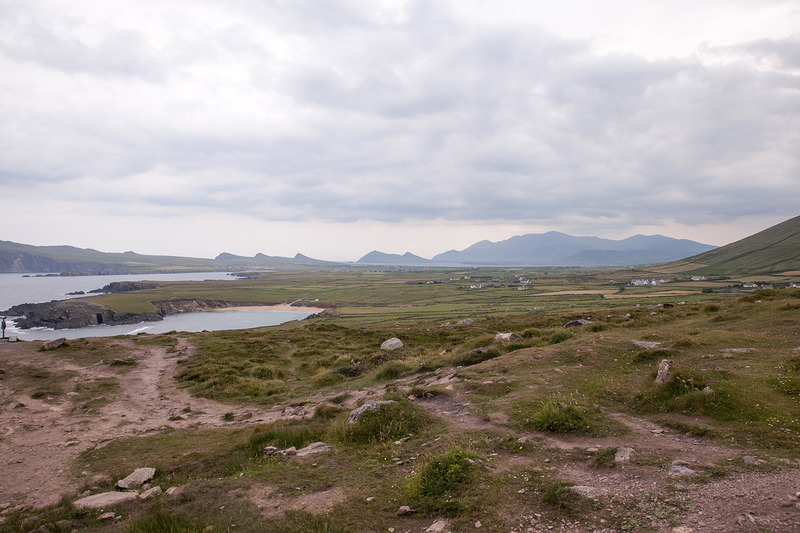 Clogher Head offered unrivalled panoramic views over Clogher Beach, Sybil Point, the Three Sisters and Mount Brandon. 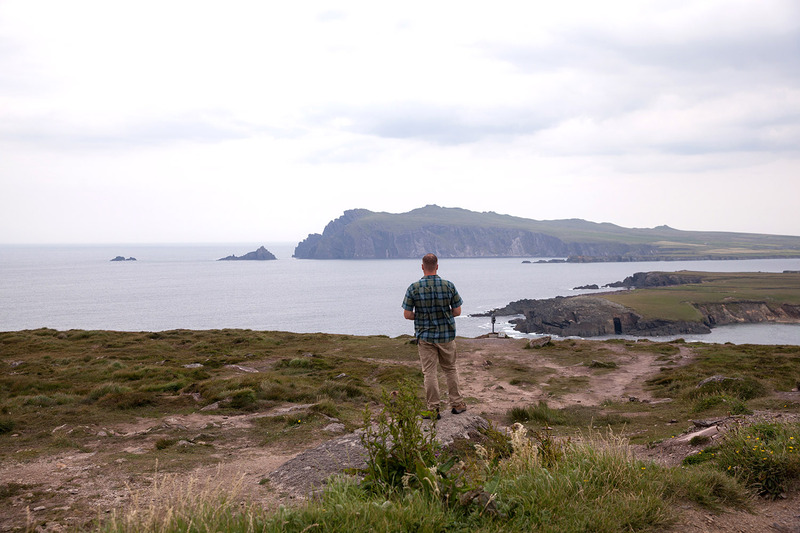 Climbing up to the hill in a westerly direction, one can take in the complete Blasket Sound and the Blasket Islands. 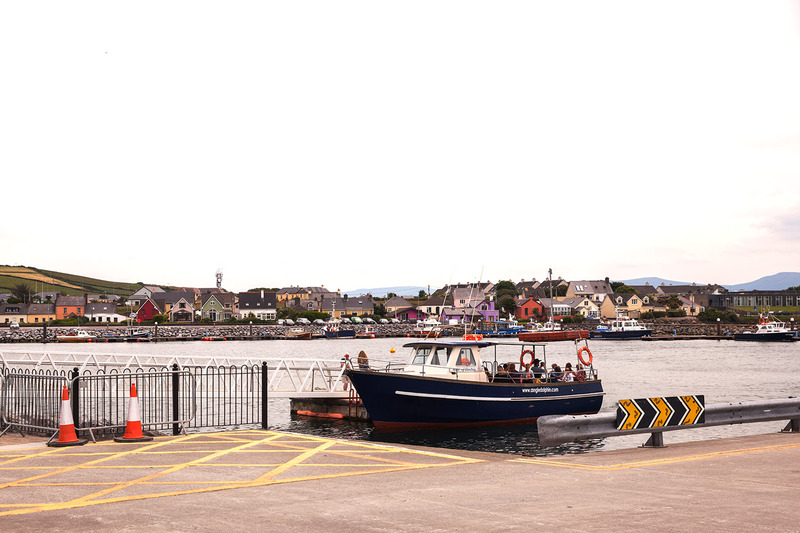 What a stunning Irish town! 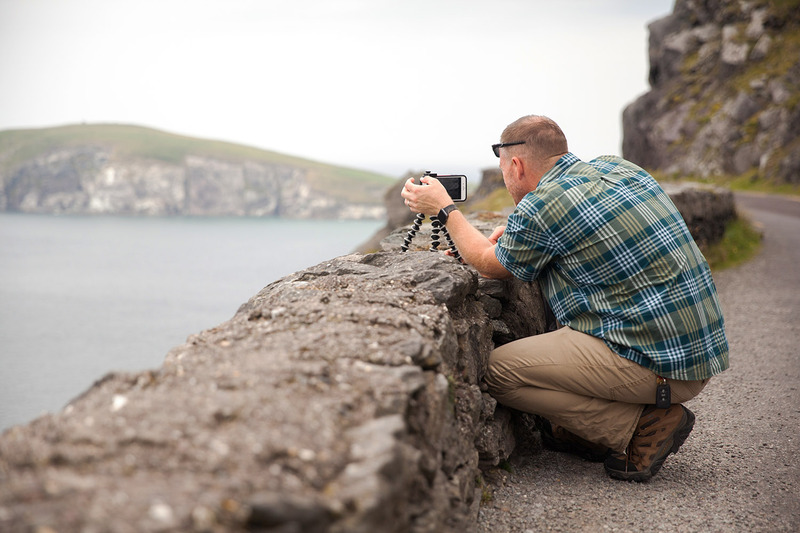 I agree, so many beautiful spots to see in Ireland.